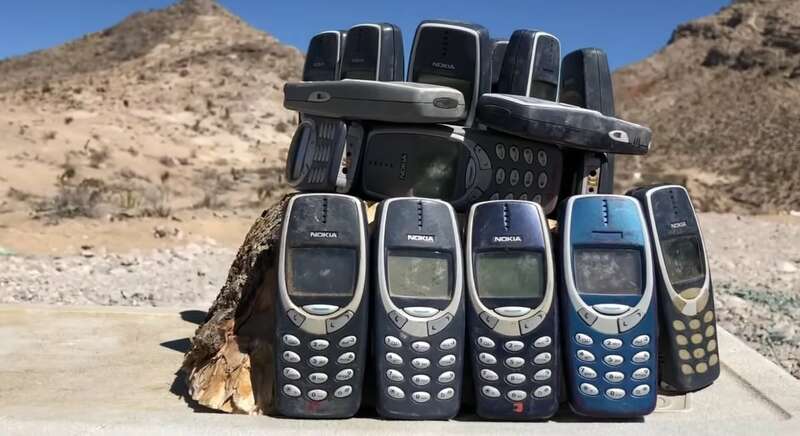 The pop culture benchmark of rugged indestructibility, the Nokia 3310, may just be enough to stand up to a Vulcan 20mm cannon. Probably not, but maybe. As a follow-up to their ridiculous experiment that saw an M61 Vulcan cannon salvaged from an F-16 and bolted to the roof of a Toyota Prius to form perhaps the most unlikely gun truck/soccer mom ride, Black Rifle Coffee and Full Mag accepted a viewer challenge to pit the mighty Finnish-designed candy bar phone against some 20 mike-mike. In 2017, TechRepublic called the Nokia 3310 “a big tough cockroach of a phone,” going on to note that the icon was so well-liked that in its original format it sold 126 million units across the globe. The Vulcan fires shells the size of corn dogs. Sure, this fight is heavily weighted against the GSM-networked mobile device, but can the Vulcan play Snake?